PTT Philippines Public Company Ltd. has opened its first Platinum Station in Lucena City, Quezon province, a city in southern Luzon, Philippines, located on a 5,000-square meter lot that will house other commercial establishments including seven restaurants. This station, which cost PHP90 million (USD2.01 million) is a one-stop service hub and so far the largest in the country, offering more than just gasoline and diesel fuel. The station also includes a branch of PTT’s signature coffee station, Cafe Jungle. PTT Philippines President and Chief Executive Officer Sukanya Seriyothin said that this particular location could offer other services to the growing local tourist industry, in addition to its core fuels and lubes related services. Local government officials, as well as executives from its parent company in Thailand, PTT Public Limited Company, attended the inauguration on 16 Jan. 2015. Seriyothin said that PTT will continue to invest in the Philippines. In fact, another station, which is four times larger than this one, is being built along the Subic-Clark Tarlac Expressway (SCTEX) in Concepcion, Tarlac. It is located on two hectares with a projected cost of PHP200 million (USD4.47 million). The SCTEX contract requires the construction to be finished within two years. Seriyothin shared that the SCTEX station will include an emergency/first-aid station, a vehicle repair shop, a playground for children as well as trees in the landscape. 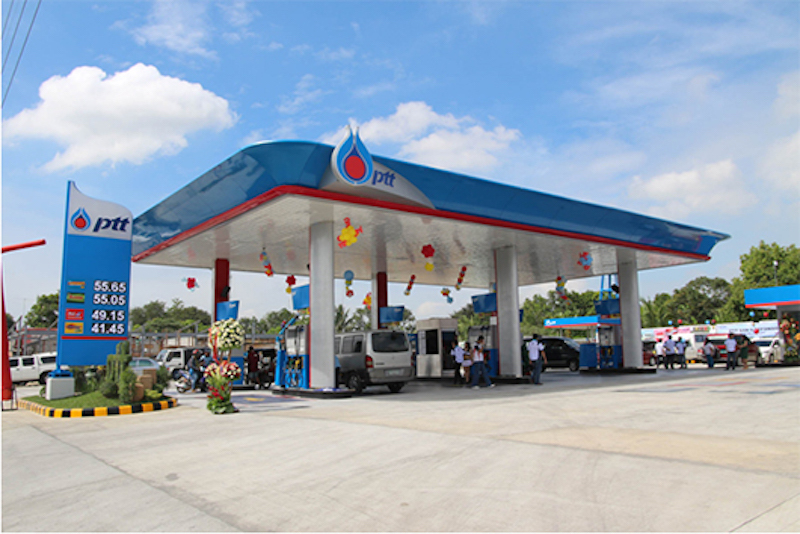 PTT Philippines, which is a wholly owned subsidiary of PTT PLC, currently operates 74 service stations in the country. PTT PLC has been operating in the Philippines since 1997, and focuses on marketing refined petroleum products, including lubricants. With the upcoming ASEAN integration this year, PTT would be able to ship products from its Thai refineries into the Philippines free of duties as both are members of the Association of Southeast Asian Nations or ASEAN. The Philippines has been identified by PTT as one of its most important overseas markets.